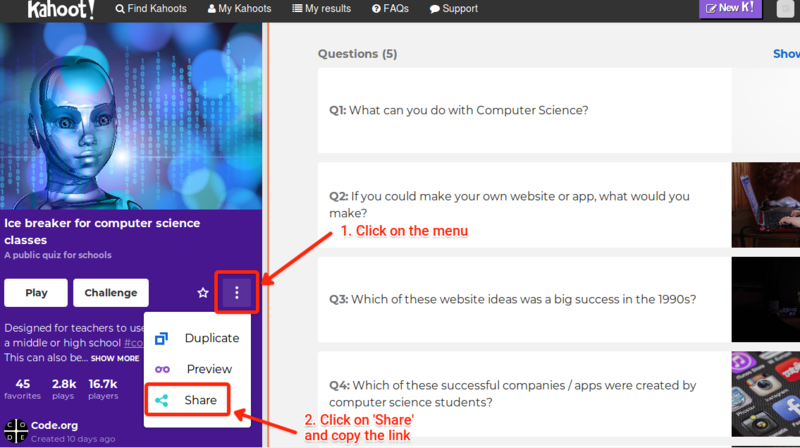 How do I embed a Kahoot! into Sutori? Start by creating an &apos;embed&apos; item on Sutori. Copy the sharing link as on the screenshot below. 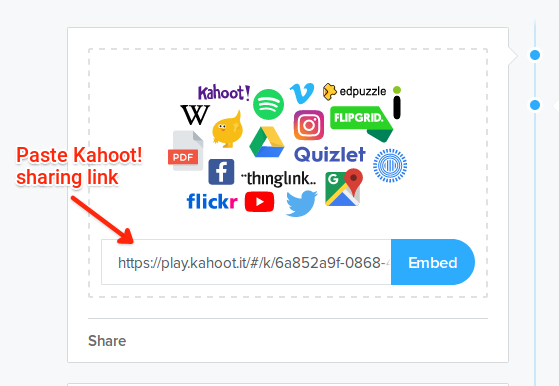 Paste the link into the &apos;embed&apos; item.